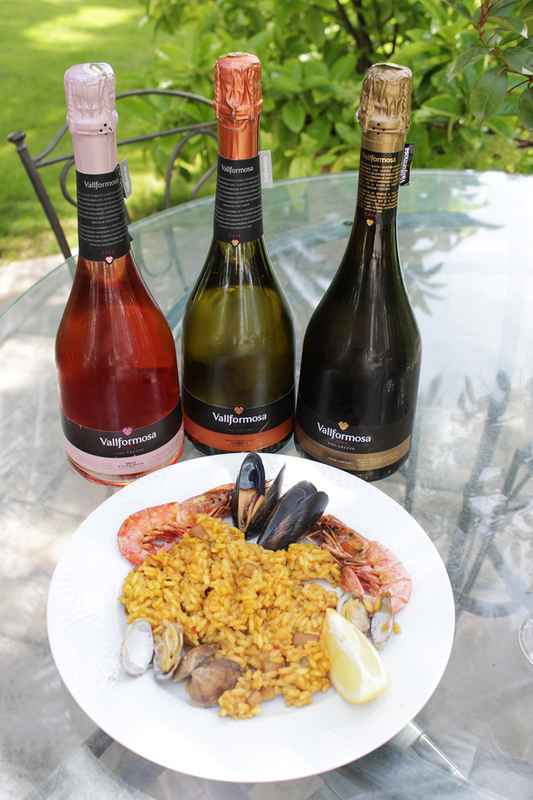 As the family's first winemaker, Don Jose Oriol Domenech Vidal of Vallformosa, is an expert in Spanish Cava. Domenech family, Xavi, Queta, Jose, Angels, Angels and Oriol. 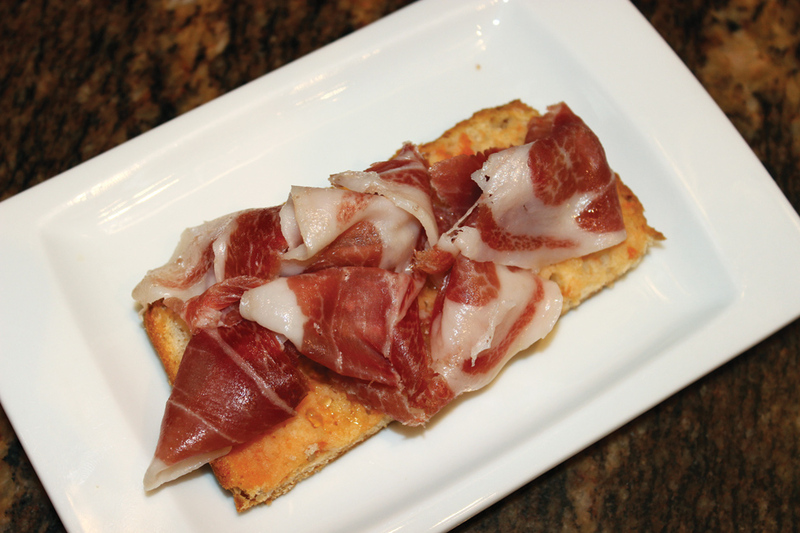 Pan con tomate topped with thinly sliced Spanish ham. When the temperatures soar into the 90s (or higher) and St. Louis’ humidity makes a hot day even more oppressive, a glass of cold, refreshing sparkling wine really helps a body cool down. The sparklers that are having a breakout moment this summer come from a country that knows all about hot weather – Spanish Cavas. The Spanish have been making sparkling wine for centuries, largely from the Penedes region, which is west of Barcelona, in Northern Spain. Brut Cavas are made with native Spanish white grapes with such distinctive names as Macabeo, Xarel-lo or Parallada, while the Roses usually come from the better known Pinot Noir, Garnacha and Monastrell red grape varieties. 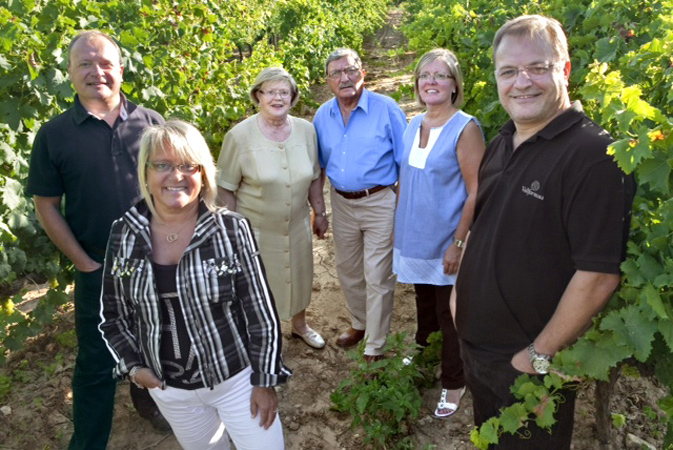 The Domenech family has long been associated with the region and its wines, with references to the family appearing in local history as far back as the 10th Century. Don Francisco Jose Domenech planted vines on land in 1865, which became the basis for the family’s holdings. Through many trials and tribulations over the centuries, including the Phylloxera epidemic when insects wiped out most of Spain’s and Europe’s vineyards in the 1880s, and the Spanish Civil War in the late 1930s when Masia Vallformosa, as the winery is called, was partially destroyed, the Domenech family has persevered. It was at the end of the Civil War, around 1940, when the Domenech family returned to The Masia that Don Jose Domenech Torne (the son of Don Francisco) produced the first three bottles of Vallformosa Cava. Today, the fifth generation of the Domenech family presides over Vallformosa, led by the charismatic, multi-talented Don Jose Oriol Domenech Vidal, grandson of Don Jose. Oriol, as he is known, is the family’s first accredited winemaker and considered one of the foremost experts on Spanish Cava production, having written a number of tracts, magazine articles and books on the subject. Additionally, Oriol is a gourmet chef, known for his special touch with traditional Spanish fare like Paella, the hearty seafood stew over rice that Oriol ladens with various shellfish. He sautes the onions in pure Spanish olive oil, garlic and parsley, then he adds saffron threads, fish stock, calamari, green and red peppers and finally tomato sauce, more saffron and the rest of the seafood (shrimp, prawns, mussels, scallops). All of this simmers over an open fire in a traditional Spanish grill house. 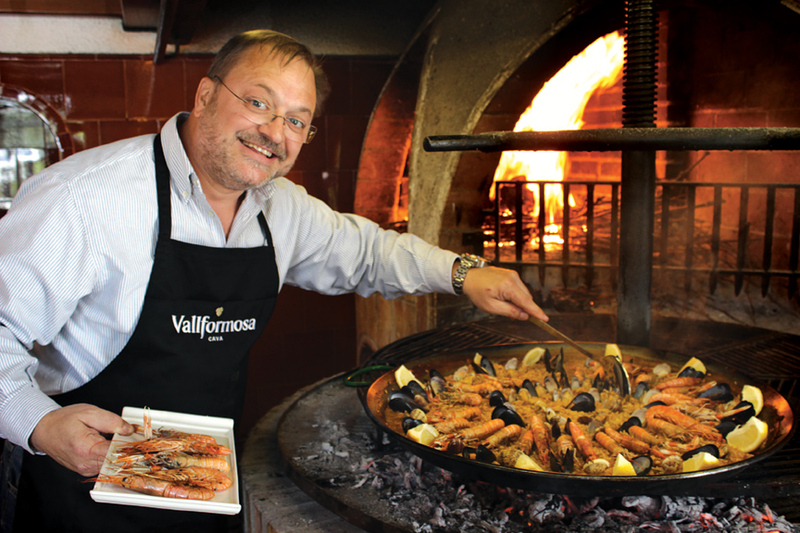 Aside from the ingredients, the unique taste of his paella comes from the sweet smoke of the grape vine branches Oriol uses to make the fire. When he adds the Catalan regional dishes of Xato Salad (filled with salt-based ingredients like fresh anchovies, olives, tuna and dried cod over escarole greens, and finished with a spicy, garlicky tomato-based sauce), the famous Pan Con Tomate (toasted bread rubbed with fresh garlic and ripe tomato, then drizzled with olive oil and a bit of salt and topped with a slice of Spain’s sublime Serrano or Iberico hams – both of which are now available in gourmet stores in the U.S.), and a flute of ice-cold cava like the Vallformsa Clasic Brut, Oriol has created a perfect summer repast that tastes equally delicious in his picturesque Catalan back yard – and in yours! Saute onion, parsley and garlic in olive oil until the onion begins to become transparent. Add saffron, fish bullion, calamari and peppers and saute until precooked. Add tomato sauce, sugar, saffron. Stir. Add rice and water and bring to boil. Salt to taste. Boil 10 minutes, stirring occasionally. Add shrimp and scallops, boil an additional 5 minutes, stirring occasionally. Simmer 5 minutes covered, stirring occasionally. If the rice appears to be getting too dry during the last 10 minutes, add more water. If the rice is too wet at the end of the 10 minutes, uncover and evaporate unwanted liquid.